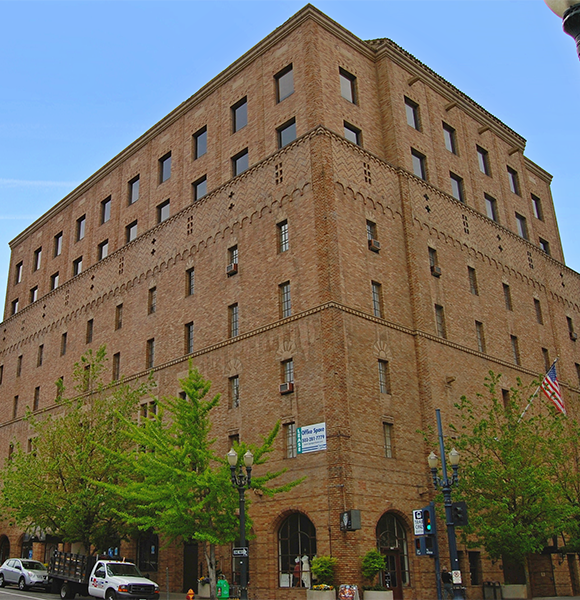 Located at the corner of 14th Ave and Southwest Morrison Street, the Tiffany Center is a Modern/Art Deco building featuring two large ballrooms and a conference space for a range of event types. Our building’s stunning entrance features a local artist’s reproduction of Michelangelo’s Sistine Chapel, which underscores the historic 1920’s elegance of Portland’s premier event facility. The large, arched opening is adorned with stone-carved gargoyles that add to the building’s mystique. The interior appointments of the lobby, reception rooms, and formal event rooms have been maintained with the wood paneling, lighting, and windows of the original building. We can provide reserved parking one block away, for a fee.